That is, when she’s not swimming with whale sharks, on an African safari or taking a French Polynesian cruise. Travel rewards pros like O’Halloran are guided by their bucket-list goals as they hoard every possible point and mile so they are prepared to upgrade or book when the right promotion comes along. O’Halloran, a 45-year-old director of services for students with disabilities based in New York City, recently got to cross off another to-do from her bucket list: showering on a plane. 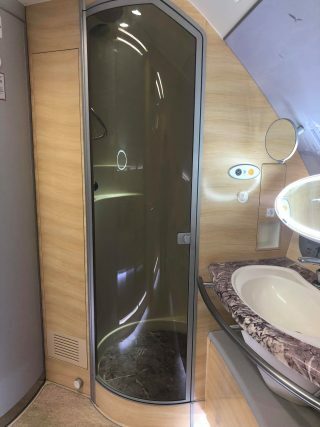 On an Emirates flight from New York City to Dubai (from which she left for Seychelles), O’Halloran upgraded to first class and got to experience the grandeur of 25 minutes in a large bathroom with heated floors, warm water and pajamas. Allowing her to actually walk off a 12-hour flight feeling clean and refreshed, “making the flight as big of a part of the trip as the destination,” she says. “I blow-dried my hair … on a plane!! !” she exclaims. Use a credit card that can earn you points and miles for spending habits you already have, and one that also has a sign-up bonus. The first-class upgrade from John F. Kennedy International Airport to Dubai International Airport, AKA the “shower leg" of her trip, cost O’Halloran 70,000 points. More than half of that (at least) could be earned through a sign-up bonus. Then, only charge as much of your daily expenses as you can pay off each month to avoid interest charges to earn more points. Take advantage of every offer to earn more travel rewards. 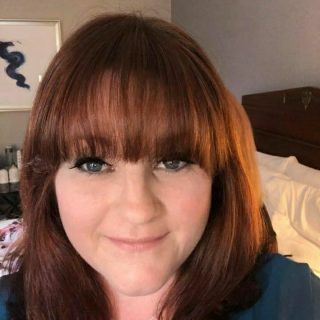 O’Halloran earned 5X rewards points when she booked her flights in February 2018 on The Platinum Card® from American Express. It’s common for credit cards to offer rewards bonuses on spending categories from groceries to gas to travel. If you fly frequently, you may also get bonus points for being loyal to one or a group of airlines. Buy the cheap seats and then upgrade with points and miles when you can. O’Halloran paid $1,200 for all of her flights in business class (John F. Kennedy International Airport to Dubai International Airport to Seychelles International Airport), but the shower leg in first class would have cost $13,000 – $15,000 if she booked it originally. Be patient. Upgrades using points redemption aren’t always available when you first book your tickets, but they may come available later. O’Halloran got her notice two weeks before her July 2018 flight that she could experience her very first shower in the sky on that first leg of her vacation. The other travel legs were upgraded recently as well. Flying first class without paying for it takes effort. But, hey, so does earning $25,000 to pay for flights. Make sure you’re using the right travel credit card for your budget and your bucket list, also. What's on your travel rewards bucket list?